- 8 Different Color & Light Settings! 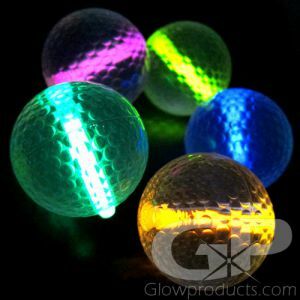 - Use for the Practice Green or your Backyard! 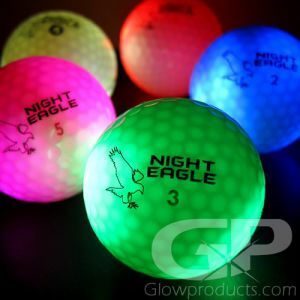 The Night Eagle LED Putting and Mini Golf Flag Pole is an 8 Mode Battery Operated LED Light Pole that is 3 feet (37 Inches) tall and glows with a variety of bright colors. 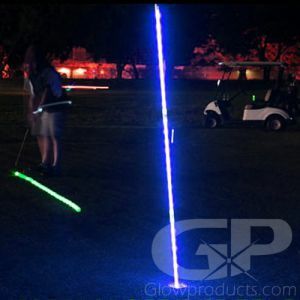 Use these fun colorful LED Mini Putt Flag Poles for the Practice Green or set up your own Glowing Mini Golf for your backyard! 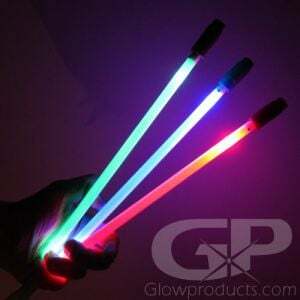 These Mini LED Flag Poles can also be used as course lighting for other night sports such as simple glowing goal posts for Glow Soccer, field highlights for a game of Glow Football, or for any of our other exciting Night Sports items! 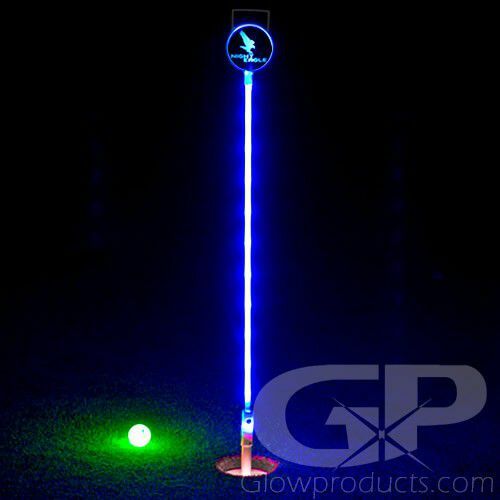 The Light Up Miniature Golf Flag Pole has 8 Different Color and Light Modes that include Solid Colors, Color Mixtures as well as a Rainbow Color Changing Mode. (See Instructions below for all color and light modes) Set up a colorful and fun Mini Putt Glow Challenge using different colors for different holes! 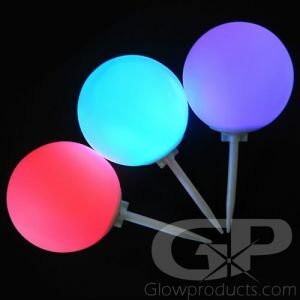 Instructions: Set up the LED Mini Flag Pole where you want to use it and press the button at the base (bottom of the pole) to turn on and circulate through the 8 different color and light settings. An attachable ground stake is included if required. To replace the 3xAAA batteries, remove the three small screws in the base unit and then pull the pole from the base. 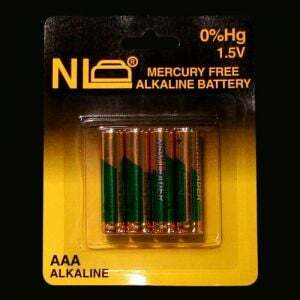 You will now have access to replace the 3 AAA Batteries. Once fresh batteries are installed, place the pole back into the base and re-insert the screws.